In order to match the shape and curve of your bite, traditional crowns require impressions of the teeth using messy elastic material. With CEREC, your mouth is mapped out digitally, which takes less time and poses no discomfort. The computer system then uses this information to sculpt a crown that fits perfectly with the rest of your teeth. CEREC crowns are the ideal solution for dental restorations in patients who may not have time for the office visits required for traditional crowns or dental implants. The entire CEREC process is performed while you are in the office, so you will not need a temporary crown while a permanent one is made in the lab. This allows you the freedom of enjoying your favorite foods right after your crown is placed. The restorations produced by CEREC are tooth-colored overlays that are hard to distinguish from your natural teeth. Where traditional crowns might be made from metal or bulky porcelain, CEREC crowns are remarkably durable yet incredibly non-invasive to the remaining healthy tooth. If your smile is suffering due to poorly shaped or damaged teeth, visit Dr. John Carson, DDS. Our office features the latest advancements in dental technology to keep your smile bright and healthy with minimal downtime for you. Schedule a consultation in our Tucson office by visiting our website or calling (520) 514-7203. Choosing a dental office with a compassionate staff that can facilitate the highest quality treatment will offer long-term benefits to the health and beauty of your smile. To see what advanced dental technology and a caring medical staff can do for you, schedule a consultation with Dr. John Carson, D.D.S. at (520) 514-7203 and explore the following resources. Understand your risk for gum disease with this assessment from the American Academy of Periodontology. The American Academy of Pediatric Dentistry explains the importance of preventive care from an early age. This article from The New York Times discusses the innovative technology of DIAGNOdent lasers. Learn how the Isolite system can make your visits to the dentist more comfortable at IsoliteSystems.com. Check out the benefits of Cerec tooth restoration at CerecOnline.com. 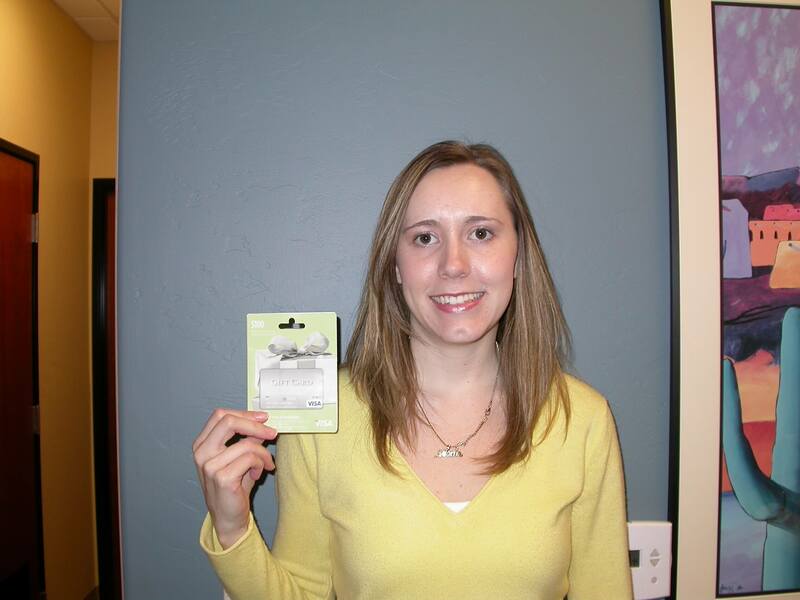 Congratulations Tara S. our December $100 Winner! DIAGNOdent: This revolutionary laser is a breakthrough in tooth decay treatment that detects potential cavities at the earliest possible stage of their development. This facilitates a more proactive treatment plan to prevent the need for a root canal and to restore the health of your teeth. Cerec: Yesterday’s tooth restoration methods required several office visits, temporary crowns, and messy impressions. The Cerec system has made it possible to craft permanent tooth-colored restorations in just a few moments. The computer-guided system takes a digital map of your teeth and designs a crown that fits perfectly into your bite. Isolite: You can relax and rest in the dentist’s chair with the Isolite lighted mouthpiece. This tool is easily inserted in just a few seconds and provides optimum patient comfort. The dentist can work faster and have greater visibility while you sit back and let your jaw rest comfortably. Digital radiography and intraoral cameras: Images of your mouth can now be seen like never before with advanced oral photography systems of digital imaging. These systems allow you to be more involved with your dental treatment because they clearly show oral defects in high resolution without the downtime of developing film images. To see this technology in action, schedule a consultation with Dr. John Carson by visiting our practice’s website or calling (520) 514-7203. We offer all Tucson residents complete dental care that is quick, painless, and effective. Learning about dental care is the first step toward maintaining a healthy and sparkling smile. From the basics on daily care to the details of orthodontics, background knowledge can help you understand dental treatments your dentist recommends and the best ways to improve your teeth and gums. The Dental Expert app features a large database of information from the professionals so you can reduce your discomfort at the dentist’s office and maintain proper oral hygiene for life. Armed with this valuable knowledge, you can make the most out of your regular dental visits by asking the right questions. For superior dental care in the Tucson area, schedule a consultation with Dr. John Carson, D.D.S. Contact our office online or call us at (520) 514-7203.